Should the United States be supporting Israel? Dr. Reagan: Let's talk about the political significance of Israel. Why should the United States support Israel, and not just from a spiritual viewpoint, but from a political viewpoint? Is there really any reason why we should support them? Jim Fletcher: I'm glad you brought that up, because there are multiple reasons to support Israel. One would be that they are the outpost in the Middle East and a bulwark against Islamic terrorism. The Israel Defense Forces are extraordinary. Some people, such as the critics of Israel, complain about all this aid that we are giving to Israel, but in fact, we've received more from them in intelligence value. They are our eyes and ears. So, those are a few main reasons to support them. Dr. Reagan: Yes, they are a great intelligence gathering operation in the Middle East. And, they are the only democracy in the Middle East. All the rest are dictatorships. For that reason alone, as the only bulwark of freedom and democracy in the Middle East, we should be interested in their survival. Also, most people don't understand the degree to which they are democratic. For example, the way they treat the millions of Palestinians who live in Israel and who are citizens of Israel. Jim Fletcher: If you talk to the average Palestinian, as I have many times, and you ask them privately where they would rather live, they will tell you Israel. The reasons are because their standard of living is much higher and they are not afraid of Hamas and groups like that. The Palestinian people themselves by in large prefer to live in Israel. Dr. Reagan: Yes, but they don't want that known. Jim Fletcher: You're right. It's a sticky situation for them to be in. The Palestinian Authority still controls those territories, so obviously it's a big problem. Dr. Reagan: But, the Palestinians who live there who are citizens, which most people don't realize that there are Palestinians who are citizens of Israel, have all the same freedoms of the people of Israel. They have freedom of speech, they can run for the Knesset, and there are even members in the Knesset representing them. Just how many Jews are there in Arab parliaments? None. Jim Fletcher: That's a very good point and it's one of the answers to the charges from the critics who say Israel is an apartheid state. The judge that sentenced former Israeli President Katsav to prison is an Arab Palestinian, but most people are not aware of that. Dr. Reagan: No, not at all. In fact, as I understand it, the Palestinians in Israel today have all the same rights except one — they cannot serve in the military. Jim Fletcher: That's right, but there is talk of the Druze in the north who want to serve. Dr. Reagan: Oh, yes, they are loyal to Israel. They are serving as trackers for the Israeli army. In fact, the Muslim world looks upon them like the Christian world looks upon Mormons, as a cult that is to be despised, right? Jim Fletcher: Yes. And again, when you talk to them privately you see a much different picture than what is portrayed in the media. Dr. Reagan: Okay you've just given us some reasons why the United States should support Israel. One that you can't emphasize enough is not only the intelligence Israel provides the West, but the tremendous technical information they provide. These people are geniuses. They're developing all kinds of technology all the time that we want. What about Christians? Why should Christians support Israel? 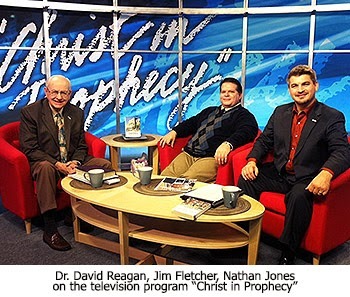 Jim Fletcher: Well, I think one of the reasons is to show people that God is sovereign and keeps His promises. If one doesn't sanitize the Jewish history from the Bible, then they won't understand that God is working through the Jews in history to bring history to culmination. We see the story of the Jews bleeds through in every page of the Old Testament in particular. And so, as I say often, an important subject to God should be an important subject to Christians. Dr. Reagan: It should be, and yet, we find a great silence in the churches today. Jim Fletcher: Yes, and we see that many Christians still have an interest, but the problem is the disinterest at the leadership level. In the third part of our series on the importance of Israel, Jim Fletcher will explain why there's really no such thing as a Palestinian.